Encompassing the most prestigious address in the capital city, located in Astana Central Park - known as the heart of Astana, the award-winning design by Wimberly Interiors combines modern with neo-classical elements, defining the modern day interpretation of the St. Regis legacy that began more than a century ago in New York. The hotel features 120 luxurious guest rooms, including 14 Ambassador Suites, 6 St. Regis Suites, 2 Royal Suites and a Presidential Suite. 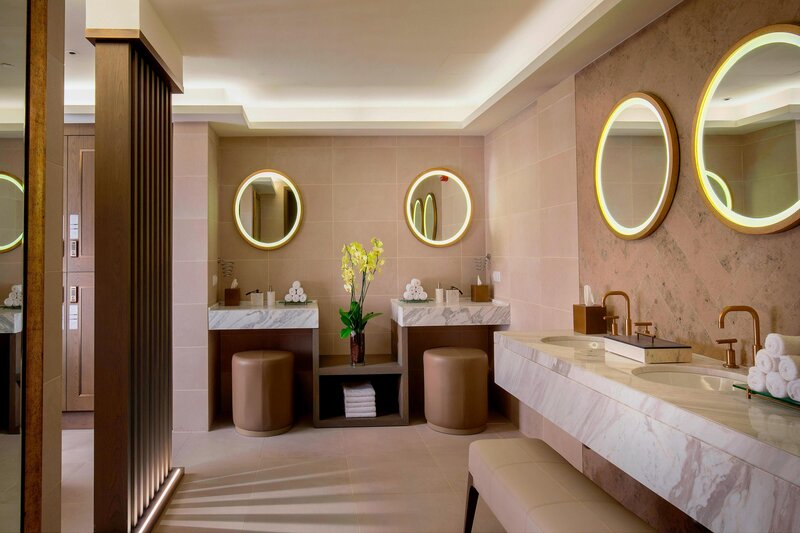 All guests can take pleasure in the legendary St. Regis Butler, ready to attend to every need with customary attention. 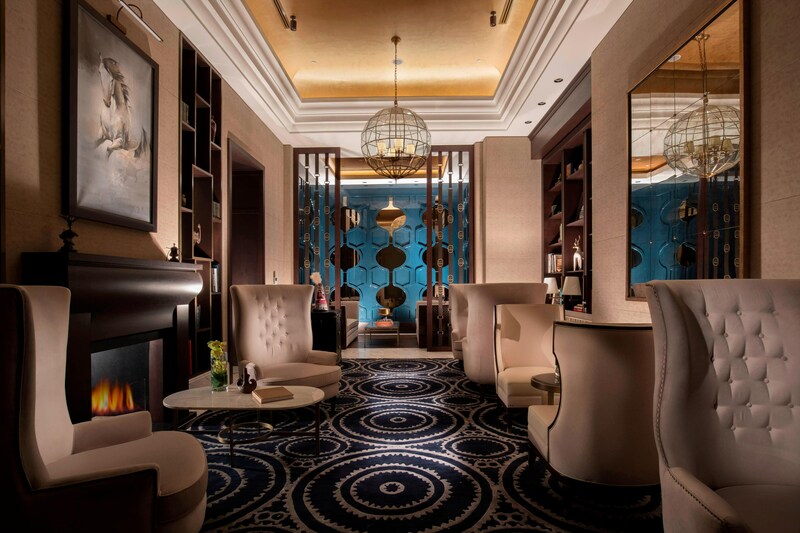 The culinary offerings include La Rivière, The Grill at The St. Regis Astana and The St. Regis Bar with a cognac bar and library. 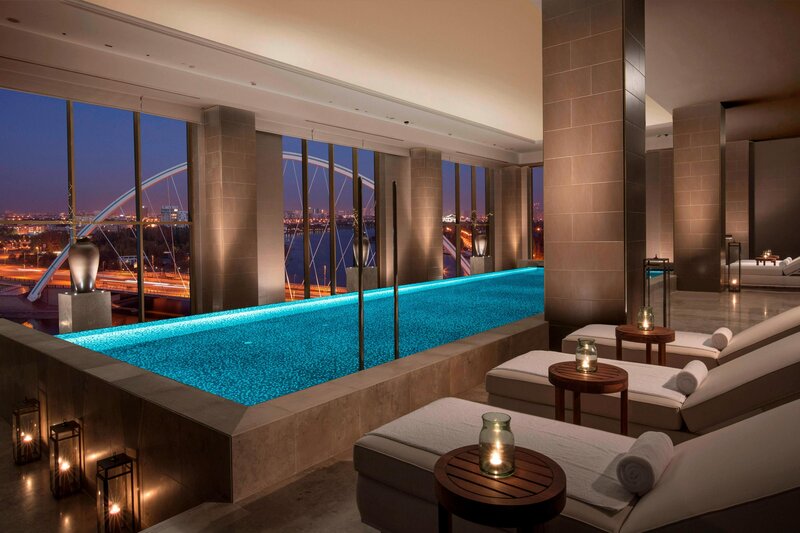 The luxury leisure facilities include Iridium Spa, an indoor swimming pool and The St. Regis Athletic Club. 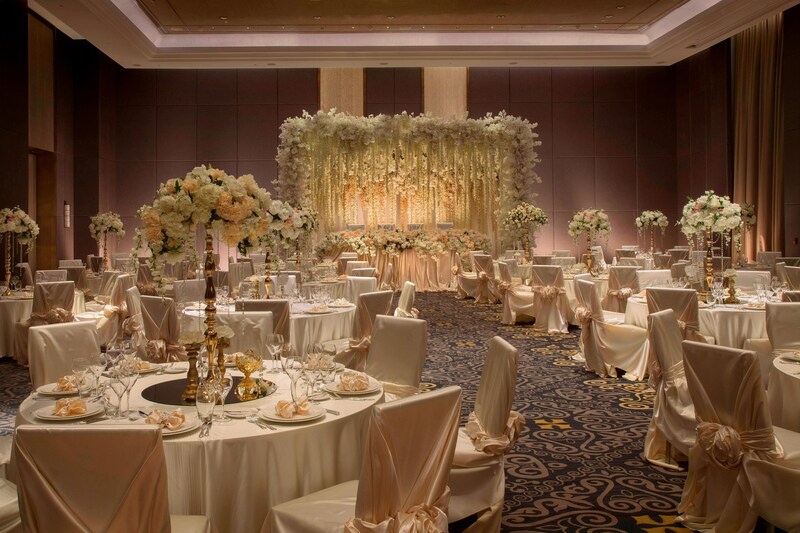 The hotel is also offering unrivaled event and meeting space for weddings and special celebrations including Astor Ballroom, Winter Garden, seven meeting rooms and a business center. 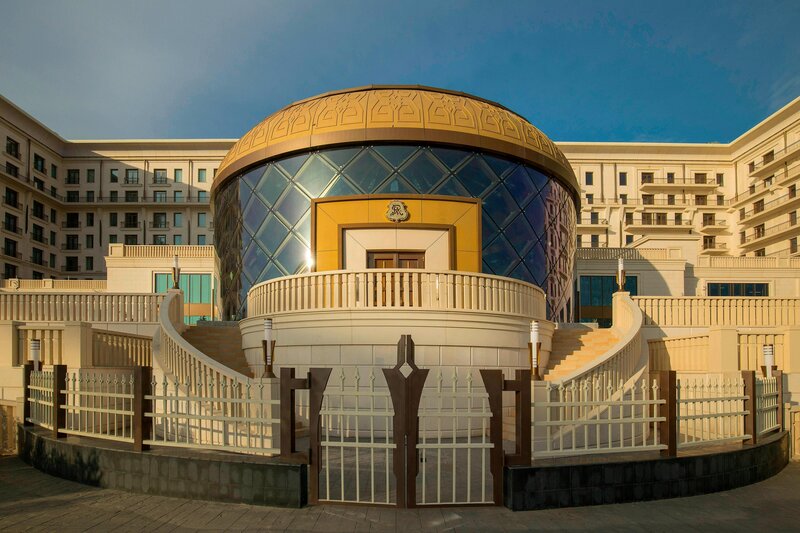 Located in Astana Central Park, The St. Regis Astana provides an ecologically friendly, secured and private environment, and is in close vicinity of the embassies, corporate headquarters and more. 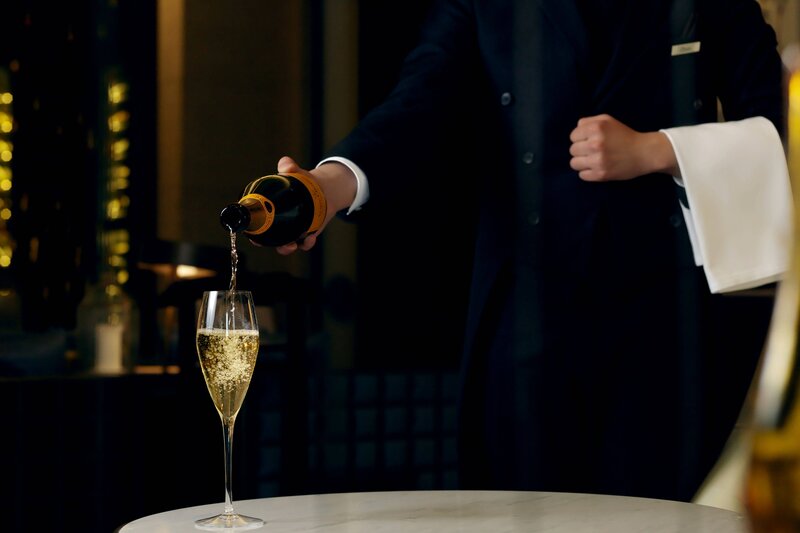 Dating back to the battles of Napoleon Bonaparte, who famously opened champagne with his saber in both victory and defeat, the art of sabrage has become a signature element of our Evening Rituals series. Like Napoleon once said, "Champagne - in victory one deserves it - in defeat one needs it." Opening a bottle of champagne with a saber has since been a very dramatic way of serving sparkling wine. We invite you to join us as we celebrate and welcome the beginning of a new evening with champagne and the art of sabrage. This captivating tradition is preserved in the elegant setting of the hotel’s The St. Regis Bar. The anticipatory, personalized St. Regis Butler Service is one of the hotel&apos;s signature offerings. Allow a St. Regis Butler to take care of the unpacking and storage of your luggage so you may simply relax and enjoy your time. Before you depart, contact the Butler Service Desk to assist with gathering and folding your garments for the journey home. Upon arrival, allow a St. Regis Butler to arrange coffee or tea service in your room. If you wish, a St. Regis Butler will arrive after your morning wake-up call to draw your shades, deliver your coffee or tea, and provide the day&apos;s newspaper and weather forecast. Once unpacked, let your St. Regis Butler know which garments require pressing and they will be pleased to assist, returning the garments to your wardrobe promptly. Two garments per person per day may be pressed complimentary. During your stay, whether you are inside or outside the hotel, St. Regis Butler Service is accessible at any hour via email. Simply send your request and allow the St. Regis Butler Service Desk to assist. Honored to carry on a century of tradition of making guests feel at home, the St. Regis Butler Service Desk is available at The St. Regis Astana. Should you need anything, at any time, please use the guest room phone to dial the St. Regis Butler Service Desk for prompt assistance. From extraordinary Gilded Age gatherings to modern festivities, ourheritage of glamour inspires timeless celebrations. 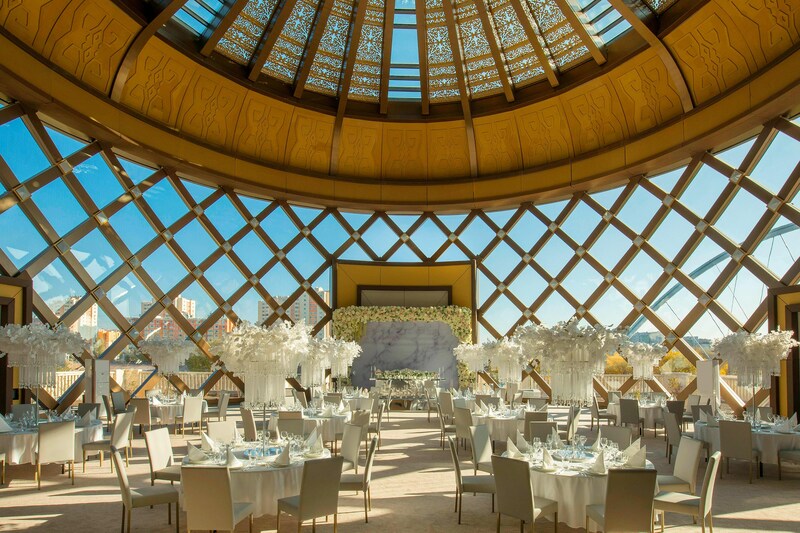 Whether you are planning a grand gala or an intimate event, The St. Regis Astana will meet every detail with meticulous attention and seamless ease. From creatively themed events, to the finest galas or destination weddings requiring the finest address, our service professionals are able to facilitate the creation of your unique event with precise execution. 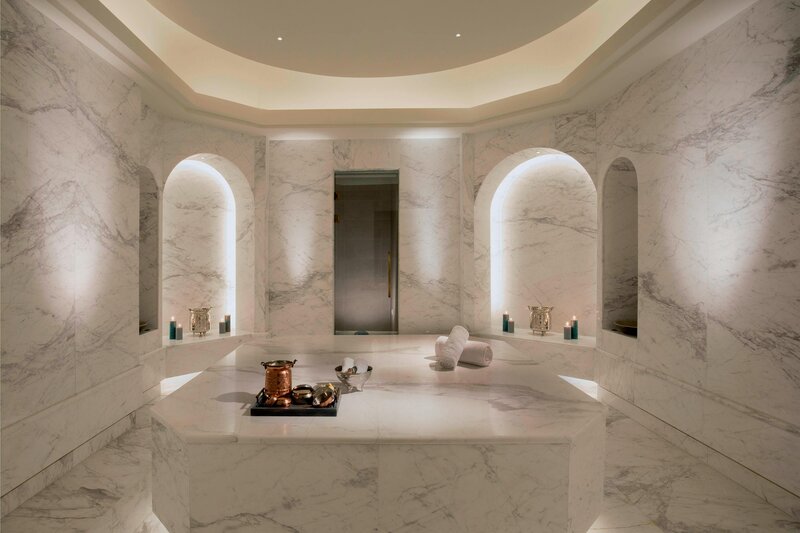 Inspired by Kazakh culture and traditions, our signature Iridium Spa is an oasis of timeless sophistication.